It has been a lifelong dream to have my work taken on by a major publisher, and to be able to sign copies of Cyberwar is a part of that dream's realization for me. 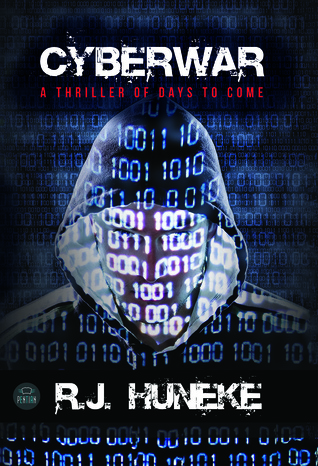 I want to thank everyone who entered the first ever Goodreads Giveaway of Cyberwar, as you are truly Eager Readers who have shown an interest in a story, a story that is so very important to me, long before its release on May 5, 2015. I hope the winners truly enjoy the book! Inscribed is a prevailing theme from Cyberwar that will continue throughout the series to reveal the importance of humanity's creation and protection of words, so that worlds can be improved by them... forever. I would by lying if I said that Orwell and Bradbury were not in my brain, dancing away somewhere, when I wrote this story, but I strove to make something innovative so that the Words Survive, Worlds Change brings a sharper look into something dark and dangerous and beautiful that you have not read before. You will tell me if I succeeded. P.S. As the moment meant a lot to me, there were pictures taken of this signing before the books went in the mail. I am sorry that you were not here with me in person, but there will be readings and events and social-type things where we can possibly discuss font or penmanship, if you are able in the future. Giveaway ends February 27, 2015.